13-year-old Teodor was taken by the vicious Battle Borgs of Dome and now he must fight to survive. 13-year-old Guy Erma has been offered a chance to fight for his place in the Dome Elite. Only who will be his opponent? Will he face a Battle Borg of Dome? Once they were heroes. These men died as heroes in battle. Now they have been reincarnated as the fearsome vanguard of the Dome Elite. They are the Battle Borgs of Dome Two boys as different as any two boys might be. They face the same enemy, the same danger, the same fear -dare they trust each other? Part 2 of Guy Erma and the Son of Empire has even more action and excitement than part 1 did. Prince Teodor is still missing and his mother is getting desperate. She doesn’t know who to trust to help her get her son back. She finds an ally in Karl Valvanchi who is the brother to an ambassador from another region. He helps her gain access to the black areas…the places where the cameras do not reach. He reassures her that he will get the prince back and find those responsible. While Part 1 of this story was good, this one is even better. Perhaps it is because I already knew the characters and the story that made this an easier one to understand. It is definitely a good book for readers who enjoy sci/fi fantasy. The plot is well thought out and this makes it flow well. The suspense of wondering if Teodor will be rescued and the questions about Guy Erma’s parentage also make this book exciting to read. I recommend Guy Erma and the Son of the Empire to readers 10+. Just be sure to start with Part 1! The author was born in Wallasey, England, in 1964, and moved to the South of France when she was eleven. She spent her teenage years living in the cosmopolitan city state of Monaco and became immersed in its many languages and cultures. An English girl in a French school, for three hours each week she would sit at the back of the class as her colleagues learnt English. To pass the time, she wrote stories. This led to a lifetime of writing novels, scripts, stories and articles. 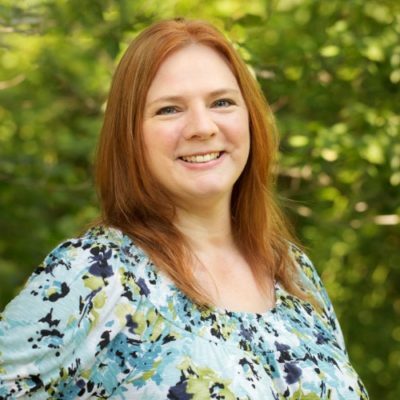 In her working life, Sally writes marketing communications and manages large international websites. 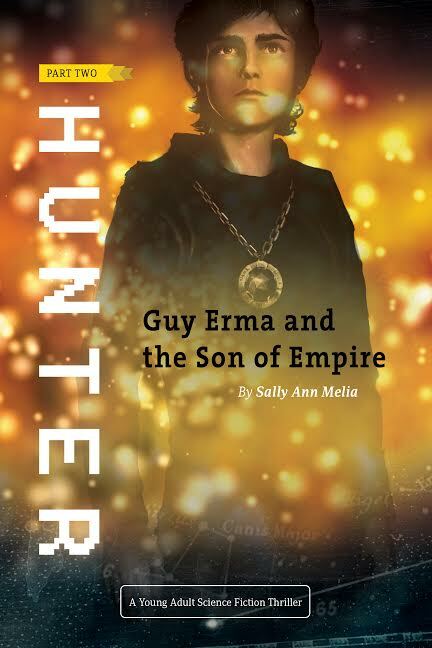 In 2010, Sally joined the Hogs Back Writers, a club located on the outskirts of Guildford, and she set about turning an old manuscript into this novel: Guy Erma and the Son of Empire. Sally currently lives in Farnham, and she is married with two children. I wonder if my son would like this. He’s 10, so he’s still kind of young, but reads at a higher level than his age and this is just the kind of book he’s like. Yes, if he is a good reader, he would like these. They’re really action-packed! This looks interesting! Probably something my oldest would be pretty interested in. I’ll have to check it out for him! I always love learning about new books, especially young adult ones, since I am a teacher. Thanks for sharing. I don’t think this genre would really be my cup of tea. It does sound like a real action-packed read though, great for those who like this kind of genre. The Battle Borgs of Dome sound like some fearsome enemies! Sci-fi is a great genre so this sounds interesting. Sounds like a great book for young adults. I know my nephew would love this book. I have a nine year old son and this sounds exactly like something he would enjoy. I’ll have to check it out. This sounds like a great book for teens/young adults! Thank you for sharing and the great review!! Sounds very interesting!! I have to be honest and admit that I didn’t even hear about part 1. 🙂 But it do seems interesting, so I will check it out. This sounds like an interesting read. My daughter loves stories like these but I wonder if she would read this. My son would be interested in this book. It sounds awesome. He loves action based books. What do you think about this for a young teen girl? She is into action and sci-fi, and tends heavily towards mythology. It looks like an exciting series – and anytime the second one is better than the first, I am interested! I think she would like it! There is a young girl in this as well, and I’m pretty sure she will have a larger part in part 3 of the book. Another book I suggest for her is The Shadow Prince by Bree Despain. It’s based on the story of Persephone! This is something one of my kiddos would enjoy. They get the sci-fi addiction from their daddy. I think I’ll enjoy this book. I’ll have to look for both books online and add them to my wishlist (or go ahead and buy them). Great timing — with summer here I and my nephew’s visiting, I need to put together a summer reading list. This sounds like something they would really like. Thank you for your book review! My nephew is 13 years old and I will let him know about the Hunter series.